Summer Outfits For Teenage Girls – Teenage girls love to get funky and always look for new fashion trends.In summers the best choice is wear outfits which are comfortable and gives cool and stylish look.Tank tops with denim short are always in trend and best choice for teenage girls.If you are looking for ideas what to wear for this summer for a funky look? 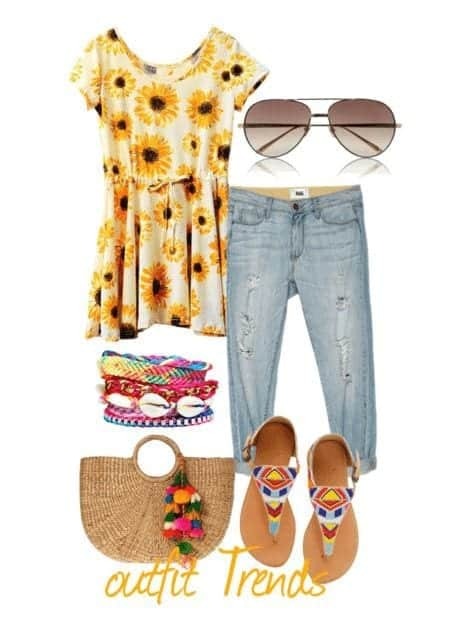 what are cute summer outfits for girls that are trending?Then Check out these 10 cool summer Outfits combinations for teenage girls. You can get lot of ideas from these combinations. How to match different outfits like bags, shoes, shorts with other teenage fashion accessories to make a chic outfit for you.